Your DNA stores all the information about you there could be, but can you actually use that information to help yourself? Yes! Now I am definitely not a DNA specialist, nor do I have a particularly scientific brain but a few weeks back I was sent a DNA testing kit from Evergreen Life, swabbed my mouth, sent the sample off and now have the results available to view in their app. Now as I am finally attempting to get a bit fitter, lose a bit of weight and generally look after myself more I thought that knowing more about how my body responds to food, fitness and a few other things would be a good idea, and after seeing my results and talking through them with a Well Being Expert I feel like I have been armed with the right information with starting a new exercise & eating regime. Why would you need to do it? Knowing exact details of your genetic make-up means that you can find out what your body is genetically programmed to behave in different aspects. 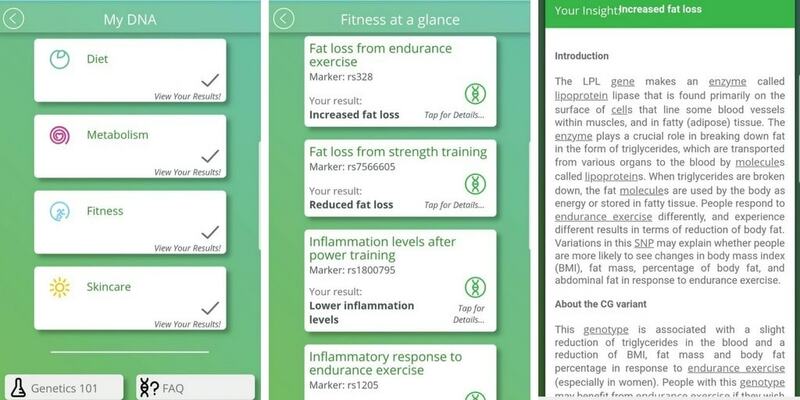 This means you can decide which foods and exercise will be right for what you want to do with your body, ie lose or gain weight, increase muscle, maintain a healthy BMI, see how your joints will cope with exercise and lots of other things. This means you can do what is best for your body to maintain your overall health. 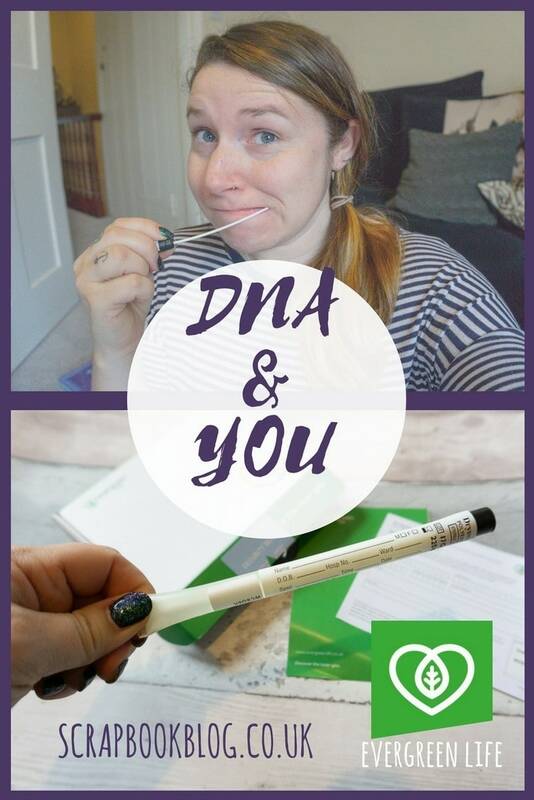 How do you test your DNA? It took me a while to read through all of the information under each category although a few I didn’t bother with as the result was listed as inconclusive for a few of them, which I found out was because they just couldn’t get a result from my saliva sample at the time they tested it. I was offered a consultation with Matt Jolley, one of Evergreen Life’s Well Being Experts. We had a skype chat to discuss what I was hoping to do (lose weight and be generally fitter). Matt didn’t have access to my results to view himself as these are obviously classed as private under ‘patient confidentiality’ but it took me a just a few minutes to read my results out to him, then he spent a couple of minutes analysing them before starting to run through them with me. Definitely insightful and incredibly useable – I have several issues to fix with instant-solutions, and a wider knowledge of how my body will cope with exercise, and what type of exercise to do to lose weight. I’m not going to go into detail about every result I got but have picked a couple of key findings in each section. My results showed I am at an increased risk of deficiency for: Folic acid, Omega 3 & 6, B6 and Vitamin E. This is relatively easily fixed with finding a good multivitamin and a view diet tweaks (seeds and nuts etc), as I don’t eat fish at all I can’t get the Omega oils from them so Cod liver oil or similar it is! Although I’m not one to mainline caffeine (I don’t drink coffee and switch to herbal tea after midday) as I have a increased metabolism when it comes to caffeine this is the better of the two results, so it is out of my system faster when I do drink it. My test also showed that I am NOT likely to be lactose intolerant, so there is no real case to limit it from my diet. I don’t have very much of it anyway now that I’m on Weight Watchers though! The results also showed I am unlikely to overeat, and that I have a typical risk of craving sugar, although I often DO find myself craving sugar when I discussed this with Matt he said this was likely to be the diet I’m used to, and feeling the need for sugar as energy, rather than something healthier and he suggested I look into following a low GI diet. My Bad Cholesterol result was that I am likely to have normal levels, which is one less thing to worry about. My ‘Sensitivity to saturated fat’ result was typical result so I am less likely to have an adverse affect from excess saturated fats, though they should still be avoided! There are three main aspects covered in the fitness results – endurance, strength and power. My result for ‘fat loss from endurance’ is enhanced, which means for me endurance exercise like running or cycling for long periods of time is more likely to result in a weight loss vs circuits for example (which is fine by me, I was never a fan of that sort of exercise!) However my ability to improve strength over time might take longer. Another result that was interesting was an increased risk of joint injury, which means I need to be sure to warm up and down properly, focusing on joints, mobility exercises of ankles, knees, wrists and partake in strength training to improve overall joint fitness. So what did I think of my results? It was really interesting to find out more about how my body reacts to certain things, how it copes in certain situations and what I can change to make my body healthier. I honestly had no idea that your DNA can tell you so much more about your body. A few of the results were surprising, the main one being that my ‘Alcohol flush reaction’ was unlikely to, but I to tend to flush when I drink especially wine. But I’ve now got some really easy fixes to make, but more importantly a wealth of knowledge that I can use to make the right choices going forwards. It’s definitely been eye opening! 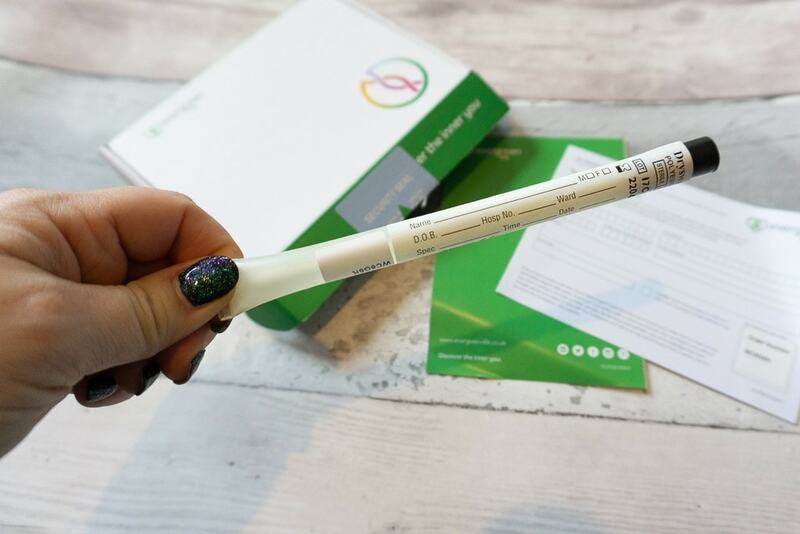 You can try out the Evergreen Life DNA testing kit and find out more about your own genes, as well as finding out more about how the Evergreen Life app can make your healthcare easier, with the option to book GP appointments, keep track of vaccinations and lots more! Evergreen Life provided these tests for me free of charge for the purpose of this review. Personalised Calendars & Cards with Funky Pigeon & win £25 credit! This looks so interesting! I’d love to know what my results would be! Wow!! I had no idea!! 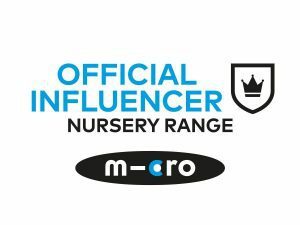 How interesting!! I may look into this! wow this is mega interesting. I have never heard of this before but i am keen to know more and maybe even give it a go.